After watching the trailer and an exclusive behind-the-scenes clip to Same Kind of Different as Me, I’m looking forward to seeing this film in the theater. 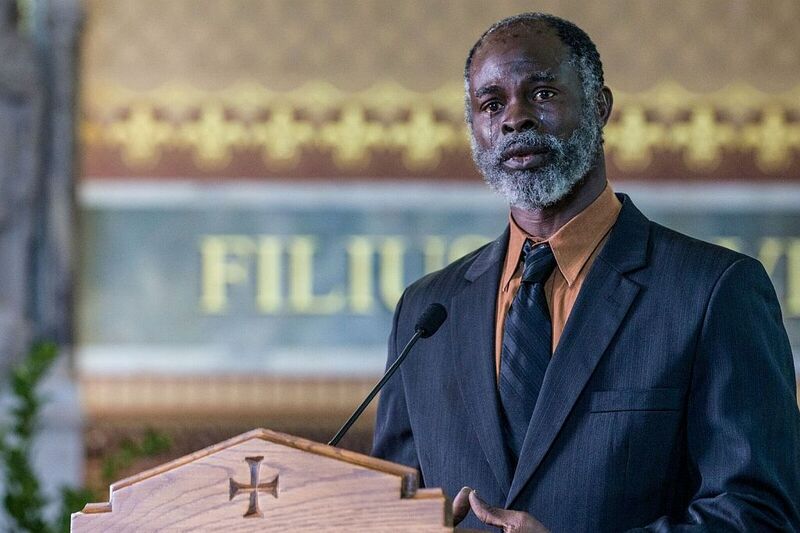 Faith-based films are getting better every year and when a film can get 2 Academy Award winners in the cast you can expect to see some good performances. The behind-the-scenes clips I’ve seen for the film tell a story of hope and challenges viewers to reach out to the poor and neglected in our communities. When I walk downtown, it’s easy for me to overlook people amid all the beautiful architecture and activity of a busy tourist town, especially in the summer. Based on the trailer and clip, Ron and Debbie Hall probably overlooked people in their town too but they stepped up to the challenge issued by Jesus in Matthew 26 about helping the poor. Starring Greg Kinnear, Renée Zellweger, Djimon Hounsou and Jon Voight, Same Kind of Different as Me looks to be one of those films you can bring a friend to and not have to worry about the spiritual content being too heavy or overbearing. Want to bring a friend? Comment below and I’ll randomly choose someone to receive 2 free tickets to see Same Kind of Different as Me in theaters on October 20. U.S. residents only. With more money than they could ever possibly need, Ron and Debbie Hall have everything they could ever want…except for a loving marriage. When Ron’s unfaithfulness is brought to light, Debbie invites him to stay—as long as he remains truthful and does what she asks of him. But when her request includes serving the homeless at an inner-city rescue mission, Ron would prefer to write a large check instead. Guided by her faith and spurred on by the dream of a homeless man she senses will change their city, Debbie befriends a disenfranchised man named Denver. More surprisingly, so does Ron. Despite vast differences, their lives begin to intersect and they all are changed…forever. Themes in this movie include: Serving, Marriage, Faith, Unity, Reconciliation, Friendship, and Purpose. Theatrical Release: Friday, 10/20/17, nationwide. Ticket info here. I saw the trailer in the movies a few days ago. Definitely going to see it! I loved this book and was so excited when I learned they were making a film. Can’t wait!